Oh dear, oh dear, oh dear. 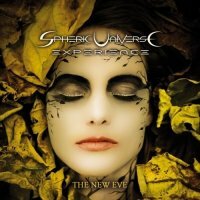 What have the prog metal outfit called Spheric Universe Experience (SUE) gone and done? Well in my humble opinion they have decided that the clever and powerful prog that was their forte on earlier albums ‘Anima’ and ‘Unreal’, wasn’t good enough for them; and so they then decided to change their entire sound, style and attitude and instead of some of the classy prog metal we liked, we have in its place a heavy (heavy) riffing nu/power metal band, that play the kind of music that so many other acts do. Now why they have decided to go in this direction is anyone’s guess but I for one have never liked bandwagon jumping and I really don’t think that SUE have pulled off this change of direction. This type of album has been done to death and just having riff upon heavy riff, OK to average vocals and run of the mill songs, only helps this CD to end up sounding like a mess. The whole thing for me smacks of a band that decided to sit down and discuss their future, watched some modern Nu rock and metal videos and thought to themselves that this was the way to go. Unfortunately for me this just hasn’t worked for SUE - at all. Now to the songs themselves which pose another problem. Firstly I will admit that the musicianship is still superb but that’s not enough for the discerning music fan these days. Secondly nu metal songs are usually about three minutes of intensity and anger and then they are gone. SUE have decided that instead of sticking with this tried and tested formula, that adding in overlong solos and tons of unnecessary riffs was the way to go on ‘The New Eve’. So when you listen to tracks like ‘Escape’ which pounds and pounds at you until you raise your hands to surrender, or the unrelenting riffage of ‘Never Heal’ and title track ‘A New Eve’ it all becomes just a mish mash of the same song played over and over and over again. It is only when the band shorten the songs and add some much needed melody to proceedings that SUE show a glimmer of the potential that this new direction they are following might offer. So ‘The Day I Died’ and ‘Self Abuse’ are easier on the ear than what has come before but are still not enough to make up for what this band have made you listen to before. I really hate being negative about any bands or their albums but again I say - why oh, why, oh why have SUE moved so far away from the sound that I and so many loved them for previously? It just doesn’t make sense to me. So sorry SUE but this comes across as a very disappointing effort.